The data you have on your Mac makes the computer important to you. Although you are careful, situations that are out of your control could lead to data loss. For example, someone could delete your files accidentally. Also, a virus could erase some of your important data. If you lose your important data, you would want to know whether there is a tool you can use to recover the lost data. In this article, we will focus on showing you the top 5 data recovery software for Mac you can use. AnyRecover will make sure you get back all your lost data irrespective of how this data got lost. The tool is capable of restoring data lost via accidental deletion, power outage, formatting, file corruption, virus/malware attack, and more. AnyRecover guarantees you of a recovery rate that exceeds 98%. The tool supports the recovery of more than 1000 file types. These include documents, images, videos, archives, emails, etc. 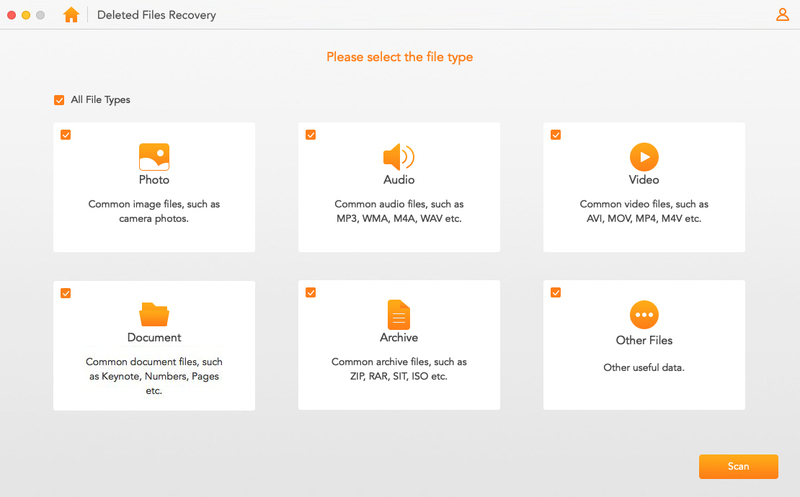 AnyRecover will help you recover your data from all storage devices. You can use it to recover data from hard drives, digital cameras, mobile phones, memory cards, flash drives, etc. You can use the AnyRecover free trial version to make sure it works before paying for it. You will recover your lost data easily and quickly without any tech requirements. STEP 1 After launching AnyRecover on your PC, select “Deleted Files Recovery” mode. You can choose a different mode depending on how you lost your data. STEP 2 Select the location where you lost the files you wish to recover and then click “Next”. Select the file types you wish to recover and then tap “Scan”. STEP 3 After the scan, the files you deleted in the selected location will be displayed. You can preview the files by simply double-clicking on them. Select the files you would like to get back. Tap "Recover" to get the files back. 1. It is ease to use. 2. It supports data recovery on all major storage devices. 3. It is equipped with various recovery methods. 1. It can only recover limited file types. 2. The tool does not guarantee the highest recovery rate. 3. The price starts at $89 is not generally affordable. This data recovery software for Mac can help you avoid dealing with stress after losing your data. The tool can help you recover the data you lost via various situations. It does support the recovery of a number of file types. These include music, documents, videos, and photos. Below, we have its pros and cons. 1. The tool does support the recovery of different file types. 2. It is not complicated to use. 3. The tool will recover lost files with their original names. 1. The tool is not very quick. 2. It supports the recovery of a limited number of file types. 3. It does not have the highest recovery rate. 1. The tool is quick and easy to use. 2. You can retrieve lost data from both external and internal storage devices. 3. The tool does support the recovery of different files. These include photos, documents, audio, etc. 1. Unlike AnyRecover which supports over 1000 file types, Data Rescue 5 supports only 100 file types. 2. 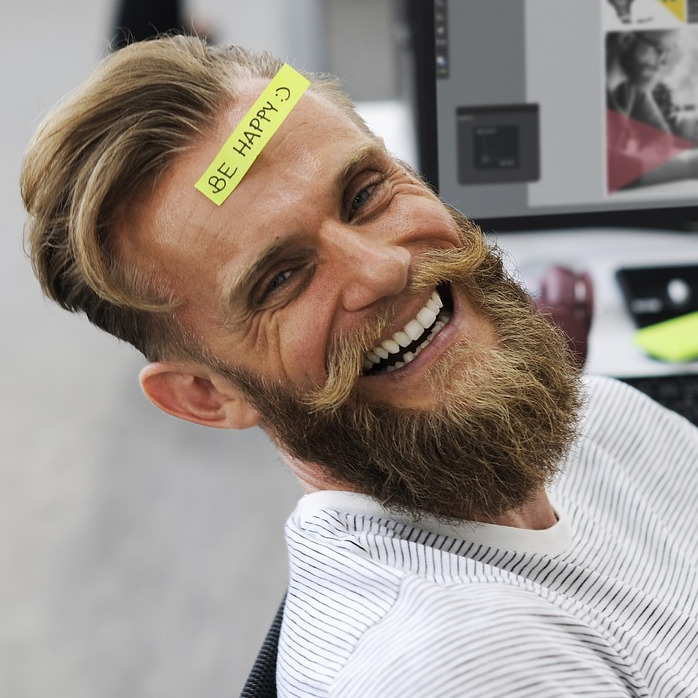 The tool requires an internet connection and a secondary storage device to work. 3. The tool supports a limited number of storage devices. Recoverit promises a high data recovery rate. Its users can expect the tool to recover up to 96% of the lost data. The tool is quick and easy to use. Its advanced algorithm lets users locate all their lost data within a few minutes. 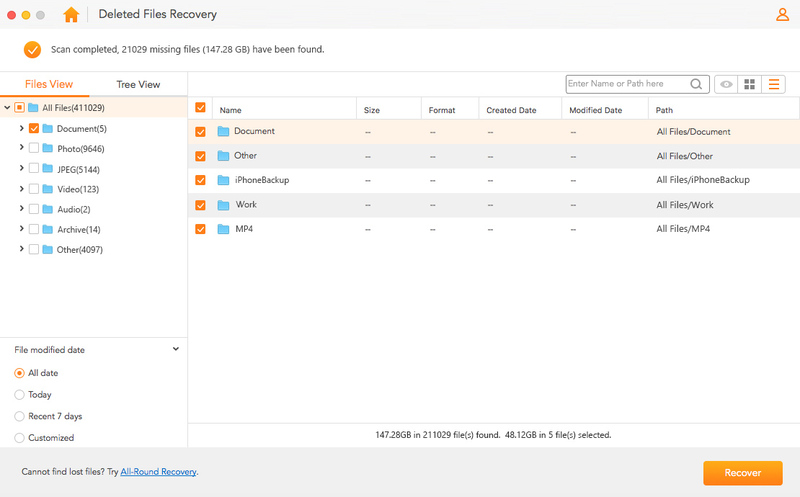 Recoverit supports the recovery of data from devices with various file systems. These files systems include NTFS, FAT32, FAT16, APS, HFS, etc. Below, we have the Recoverit pros and cons. 1. The tool promises a quick data recovery. 2. It supports the recovery of data from RAW hard drives, resized or lost partitions, and formatted storage devices. 3. The tool supports over 550 data formats. 1. The tool does not have the highest data recovery rate. 2. Recoverit does not support all storage devices. 3. Mac version is much more expensive than Windows version. If you have lost your data, this article shows you the best solutions you can use. 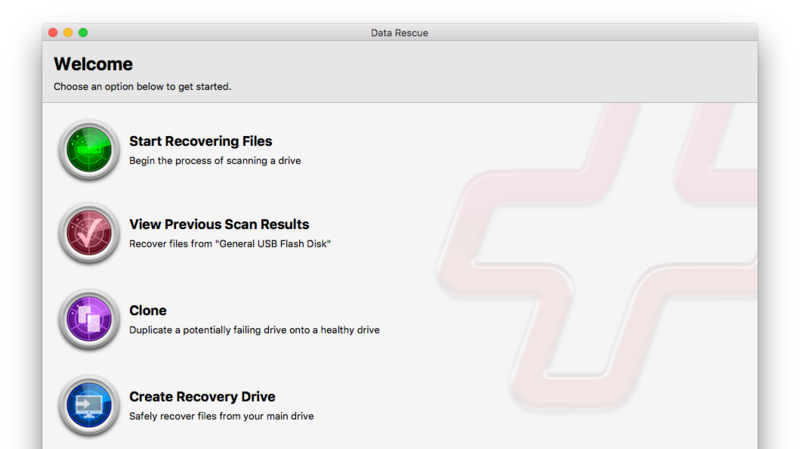 The best data recovery software for Mac is AnyRecover. It is the only tool with no limitations. It has the highest data recovery rate. If none of your lost data is overwritten, AnyRecover will recover 100% of the lost data. The tool supports the largest number of file types. AnyRecover will solve all your problems considering the fact that it supports all storage devices. Before paying for AnyRecover, you can use its free trial version to make sure that it works.